Anchovies come in all shapes and sizes, ranging from 1 to 15 centimeters. In Korea, they are cooked in different ways according to their size. 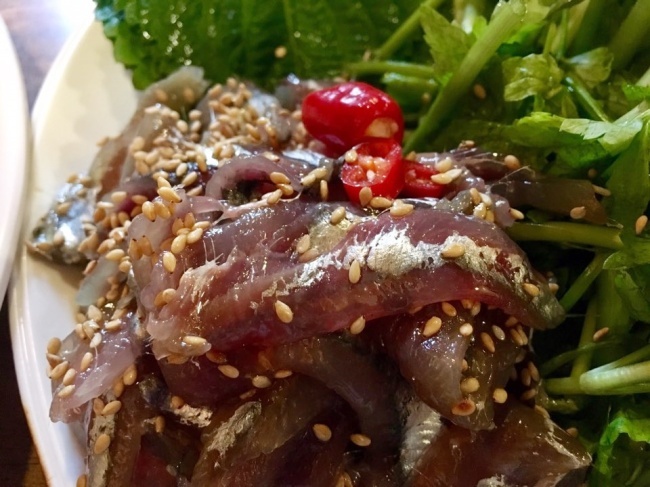 Some end up as myeolchihoe, or sliced anchovy served raw after the scales, internal organs and heads are removed. It is a dish usually consumed in the southern part of Korea. Fish that die soon after coming out of the water, including anchovies, are described as “short tempered” in Korean. As a sashimi dish has to be fresh, it isn’t easy to find the “hotheaded” fish served raw in the city. Myeolchihoe is served with various condiments, as it can sometimes be overly fishy in smell and taste. Strong condiments can cover up the fishy odor, if necessary. 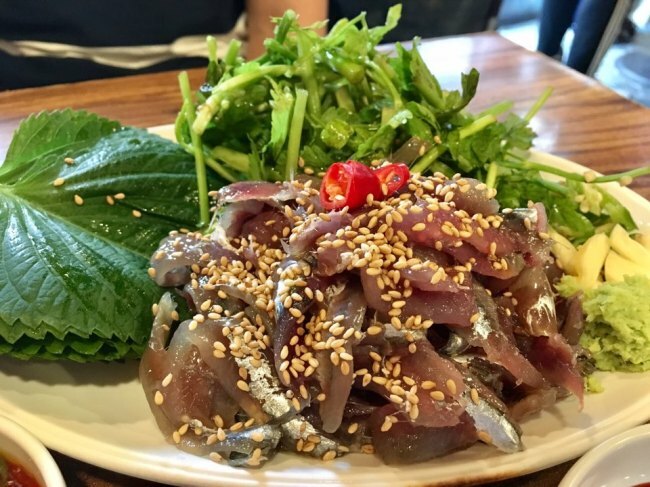 At first glance, myeolchihoe is not different from other sashimi dishes, with the fish slices simply laid out on a plate. But if one looks closely, thin, white lines sticking out -- tiny bones -- can be observed. As only the spine is removed, other thread-like bones remain in the flesh. The bones are very thin -- thin enough to safely swallow. But just because it’s safe, it doesn’t mean that the bones cannot be felt. The fragile bones softly brush one’s throat as a piece is swallowed. Some bones fall off from the flesh, and are left in the mouth or in the throat. Though it’s a sashimi, myeolchihoe is very soft, not chewy. As anchovies are high in fat content, the flesh is tender with a slight hint of unctuousness. The taste is unique as it holds the typical anchovy taste, but not so strongly. Only those who are sensitive might detect the flavor. 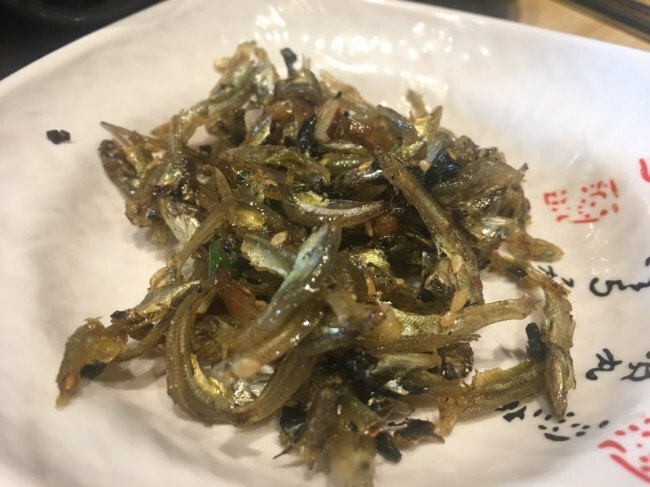 Anchovies are more commonly consumed in the form of myeolchibokkeum, or stir-fried dried anchovies. It is a side dish made with small anchovies. Bigger ones are used to make broth for soups and stews, after removing the heads.